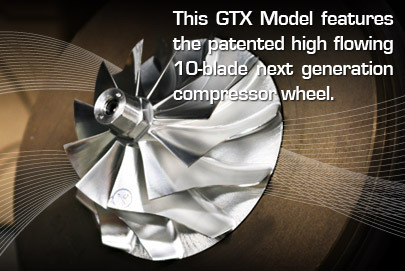 New GTX2867R dual ball bearing turbo with ultra high flow compressor wheel featuring Garrett 10-Blade technology . 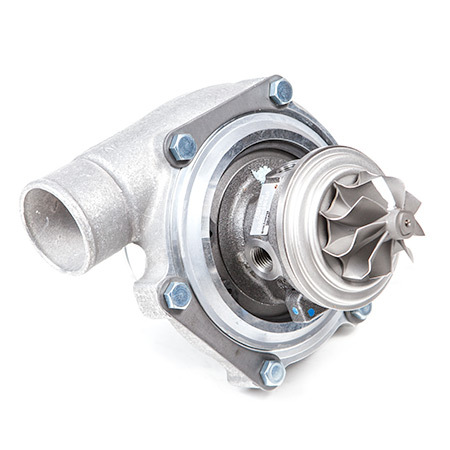 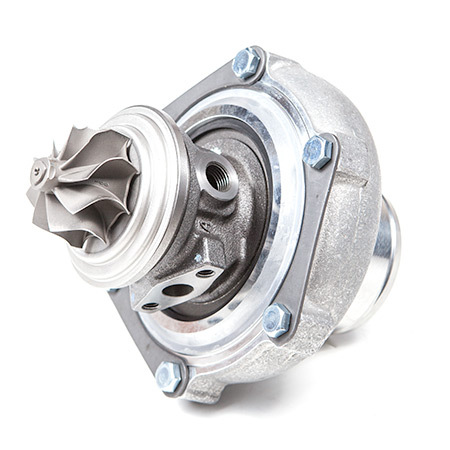 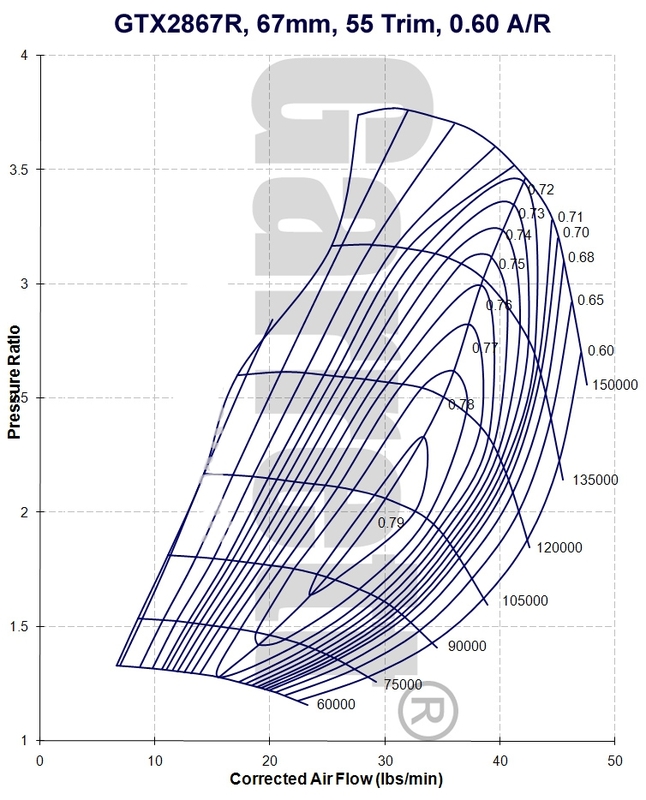 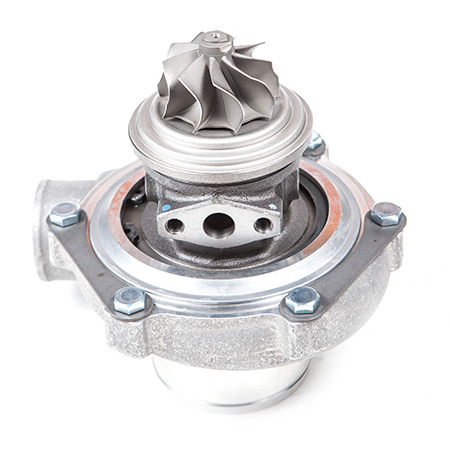 **Turbine Housing is sold separately and is the same as one used on GT2871R using 53.86mm 76 trim turbine wheel. . 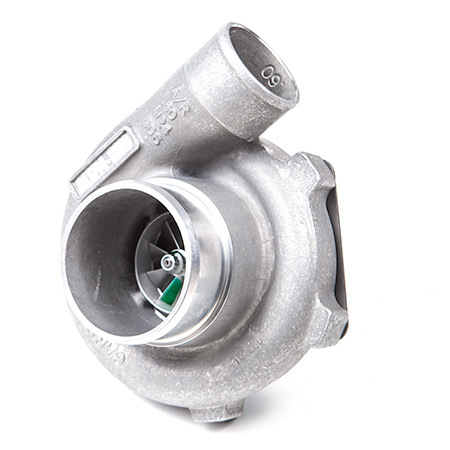 Compressor housing is GT28 style with 3" inlet and 2" outlet but has built in anti-surge machining.